…..sent to clients 15 Sept… The Standing Committee on Finance has now behind it the call for comment on a revised draft Rates and Monetary Amounts and Amendment of Revenue Laws Bill which proposes a Special Voluntary Disclosure Programme (SVDP) for financial amnesty in respect of offshore assets and income. The process is therefore well underway for the introduction or tabling of the final Bill from Treasury. The draft Bill was coupled with a second draft for comment, the Draft Rates and Monetary Amounts and Amendment of Revenue Laws (Administration) Bill, which handles implementation of the amnesty. The original proposals were made by Treasury in June of this year following the statement made by Minister Pravin Gordhan in the 2016 National Budget. The idea is to again encourage non-compliant tax-payers to voluntarily disclose offshore assets and income, with a window period of opportunity to do this bearing in mind that the global standard for automatic exchange of information between tax payers is coming into force in 2017. Changes to the original proposals are a re-definition of trusts to include those located externally; tax relief will apply to tax assessments going further back in date and undeclared amounts derived from foreign assets will apply for the financial years from March 1 2010 to Feb 28 2015, the common date for tax assessments. In the case of foreign assets, the tax applied was to be applied at 50% of the highest value of all assets offshore, the foreign currency conversion rate for valuation being the highest Rand spot rate of the years applied for and declared. A request to reduce this to 40% has been accepted by Minister Gordhan. Treasury feels that anything less will cause discomfort those who have declared foreign assets correctly and have paid normal tax rates in the meanwhile. Taxpayers who disposed of any foreign held assets prior to 1 March 2010 will also be able to apply for relief under the SVDP window, any tax to be payable in South Africa. The application form is called the Voluntary Disclosure Application Form (VDP01) and can only be accessed via the SARS e-filing system if the current system is to be used for this particular SVDP. Financial advisors and banks have also pointed to the lengthy processes involved in filing applications, particularly where foreign asset valuations are involved and Treasury have indicated that the window period will run now from 1 October to 30 June 2017 to accommodate this. From the proposals, it can be seen that R10m plus R1m a year is the maximum size of legal offshore investments that can be made by SA residents currently under the Act. This cannot be used to “offset” against any levy rendered against a disclosure, says SARS. Corporates can still invest up to R1bn without informing the Reserve Bank. SARS has said the average turnaround time is currently about 16 working days per case submitted. Nothing has yet discussed in any way before the Standing Finance Committee on the issue of the Panama Papers, nor probably will it be, but the 1,700 South African names purported to be on record now with SARS from the Papers has been cited by some as a possible reason the Bill had not been tabled. It is quite clear from the gazetted statement that no claims for amnesty are possible in general terms whilst an ongoing SARS investigation is in process. This might disbar certain high profile cases therefore. A final Bill is therefore now anticipated in Parliament for hearings, debate, concurrence by the NCOP and passage to the National Assembly for a vote since, presumably, nothing will happen until the Act is amended by both Bills. 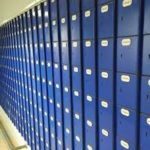 Sent to clients 15 Jan…On 13 January, a Special Cabinet Statement was issued and, as compared to previous irregular missives, the word “special” indicated some hope. Instead of just containing the usual reasons for having to rejoice on certain public holidays, details of the passing of MK operatives and certain Bills approved, the latest document was full of economic facts and financial fiscal information placing a positive spin on the current economic gloom. At last, an acknowledgement that there is a hand on the tiller. Clearly there has been a palace revolution, if only in this sphere alone. As the Cabinet Lekgotla is planned, Parliament also prepares to receive it’s parliamentarians all fresh fro m the respective political party get-to-gethers. A lot has changed since they all parted company and quite likely a lot more is to change before MPs gather for their first meetings. No doubt the EFF will try to make a circus out of things but nevertheless the show will go on. However, EFF or not, it is becoming more and more difficult to sort out between political comment, which is not our focus, and the mechanics of State policy and its direction, oversight on financial issues and legislative alerts that affect business and industry. Red lights are flashing in all camps, not least of which is the fact that it is difficult to tell who did the most damage to South African markets – China or President Zuma. In parliamentary terms, the Portfolio Committee on Trade and Industry seems determined to stand by SACP Minister of Trade Industry, Dr Rob Davies, in all matters dealing with BEE and trade agreements- as does DTI itself – and the Public Works Portfolio Committee seems unable to wear down SACP Minister, Jeremy Cronin, on issues regarding the Expropriation Bill. Similarly, Lumka Yengeni’s Portfolio Committee on Labour Committee has no hope of a good outcome when it ordered, in the last session, an end to the shambles and confusion in Minister Mildred Oliphant’s Department of Labour, another Kwa-Zulu appointee of President Jacob Zuma. Finally, despite some excellent MPs from all parties sitting in the Portfolio Committee on Energy, the vague report backs made to them by Department of Energy is leading to a sense of frustration in that particular Portfolio Committee which is not effective either as a result. In the area of good communications, Minister of Energy, Tina Joemat-Pettersson can only be described as a menace. The good news is that stalwart ANC Joanmariae Fubbs remains Chairperson of the Trade and Industry Portfolio Committee and holds the ship steady with her disciplines. SACP executive Yunus Carrim stays as Chairperson of the Standing Committee on Finance and one wonders if he will see eye to eye in view of his ideologies with Minister Pravin Gordhan. A Jacob Zuma appointee, Ebrahim Patel of COSATU fame but a hard worker and very leftist, remains Minister of Economic Affairs but even he was overlooked for Minister of Finance when the President came up with name of David van Rooyen, who, to be quite frank, we had great difficulty in recalling his presence in Parliament over the last few months. A close shave but costly. Back onto legislation. Whatever happened to the Private Security Industry Bill nobody knows but one hopes that the President was not using it to play silly games with the Obama administration on the AGOA issue. Maybe it gets discussed at the Lekgotla. Maybe not. In the meanwhile, one hopes that the message is got through at the Cabinet Lekgotla that what the President says vitally affects each one of his citizens and that that the private and personal politics being played out at the moment are particularly damaging to the business of Parliament and its relationship with commerce and industry. Just as importantly, there has to be a better understanding in government departments when reporting to Parliament why business institutions need clarity of policy to gain investment confidence. Parliament is an important and independent tool of democracy in the fight against autocracy but so many departments seem more in awe of the auditor general than they are of the need for answers to parliamentary questioning and attempts to get the truth. Estate Duty report follows VAT proposals…. The Davis Tax Committee (DTC), formed by previous Minister of Finance, Pravin Gordhan, in 2013 to assess South Africa’s tax policy, has released the Second Interim Report on Estate Duty for comment by 30 September 2015. This follows the release of an earlier interim report on Value Added Tax during the first part of July. In issuing the most recent report, the Estate Duty Sub-Committee said it had “consulted widely and took into account seven submissions from the public as a result of the invitation being made at the beginning of June”. The areas covered include avoidance; the formation of trusts; interposal requests; donations tax; capital gains tax; abatements and retirement funds. As a result of the submissions and further submission, the results for further comment are to be found on the government website. The Value-Added Tax Interim Report, published a few weeks ago by the DTC, has a submission final date also of 30 September and in this case 23 submissions were considered – finance Minister Nhlanhla Nene having seen the results already. This report covered taxpayer compliance and the tax gap; structural features such as zero-rating; dual rates; exemptions; place of supply rules and e-commerce; and the macroeconomic impact of a hike in VAT. The media has so far made extensive comment on VAT and a figure of 1% increase has been debated in public. No official confirmation of this at parliamentary level can be found. In presenting to Parliament, the DTC recommended that raising VAT would be a more efficient way of boosting revenue than increasing direct tax. The DTC recognised that a VAT increase would also hurt the poor but, in contrast, by increasing personal or corporate tax rates such would cause less inflationary pressure. The DTC said “It is thus clear that from a purely macroeconomic standpoint, an increase in VAT causes less distortion than an increase in direct taxes”. The Standing Committee on Finance were told, upon the release of the first interim report, that government may have to consider compensatory mechanisms, such as increasing social grants, to help shield the poor if the VAT rate was raised. No opposition to such measures were recorded at the time. The committee, headed by Judge Dennis Davis as usual, strongly recommended that no further zero-rated food categories be considered, noting there was clear evidence that zero rating certain foods – such as fruit and milk – benefited richer households more. In general terms, experts on the subject have noted that the DTC recommended that the introduction of a capital transfer tax should be postponed pending further research on its suitability in the South African context. They say the DTC also would like to see foreign trust distributions to be taxed as income; a review of criminal offences under the Tax Administration Act and inter-spouse exemptions and “roll-overs” and the all procedures involved either to be dropped or limited. A call was made for the primary abatement be increased to R6m per taxpayer and that the current flat rate of 20% should not be increased. Comment by the DTC on these latter issues is awaited. In all likelihood, these issues will finally reach Parliament in the form of Money Bills tabled by Minister Nene. As such, this would mean that Parliament may hold hearings, debate the Bills and even call for submissions but any recommendations by Parliament would have to be referred back to the Minister who retains the final say as to what is submitted for vote. Final assent remains with the President. This current period of public participation is therefore the most critical in terms of contributions to be made. Tax Administration Laws Amendment Bill…. As part of the presentation of the medium term budget policy statement by the finance minister, Pravin Gordhan, on the 24 October, the following are some of the Acts that will be amended by the simultaneous presentation of the new Tax Administration Laws Amendment Bill, legislation necessary as part of any budget re-allocation or implementation. • Tax Administration Act of 2011. The Bill mainly focuses on search and seizure provisions in terms of the Customs and Excise Act; extension of prescription period in the event of delays by taxpayers and for a reduced assessment; a provision re-writing that there will be no penalty for an understatement resulting from bona fide error and, importantly, regulations regarding tax practitioners whereby direct supervision is replaced by acceptance of accountability. Other issues arose in his medium budget statement to the House and are covered by the new Bill. The Bill will have the normal restraints that is a Money Bill; an explanatory summary has already been published by SARS and public comment invited by the minister to the department of finance. Rarely does a medium-term budget statement in Parliament attract the kind of attention as has the current speech by South African finance minister, Gordhan Pravin. He has been in a most difficult position. He is in fact juggling with the country’s “twin peaks” budget deficit numbers in order to come up with something that does not surrender the nation to movement down to a much lower position amongst the coterie of developing and emerging economies. 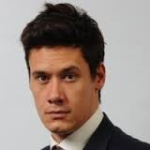 To amplify on the importance of what he says and how the newspapers and news agencies – and therefore world trading markets – depend on timeous information on this speech and perhaps it is worth pausing to note how the system in Parliament works. At a defined time a few hours in the morning preceding the speech that afternoon, all accredited financial journalists and those associated with news dissemination, gather in an allocated parliamentary meeting room and security is, to use the American phrase, “locked down”. The doors are actually locked. Even cell phones, i-phones, satellite phones and any form of communication device that has been invented since Graham Bell first telephoned anybody, has to be surrendered to parliamentary officials. At that point round about 11.00am or mid-day, everybody gets to see the speech to be made by the finance minister Gordhan Pravin, scheduled for 15.00hrs, the same day. This gives all those in the “lock in” the few hours needed to disseminate, consider and write what they wish to communicate on the budget itself, at that point the media being the only members of the public, especially the financial markets (and the rating agencies), to have any knowledge of what is to be said. There are no wi-fi facilities for laptops. At precisely the same time as the minister utters his first words in the House reading the Medium Term Budget speech, the doors are unlocked, cell phones returned, all journalists and media may release their material to the markets and well before the minister has finished his speech, Reuters, et al, have released their statements to the markets. All of this, however utterly childish it may seem at the time, gives an indication of how important budget speeches are and the value of the message that is sent by the accumulated force of financial journalism – this particular budget speech being a sensitive one. Of course, all would hope that in a perfect world minister Gordhan puts a freeze on public service pay packets for two years; announces further massive infrastructure spends with international funds for education, road and harbours; offers soft incentives to encourage exports with a weak rand and speed up the National Development Plan with ideas to counter the US resurgence. But all of this is unlikely. ParlyReport is not a newspaper, so we confine our observations to monitoring government plans, department by department, in next issues but it is worth noting that finance minister Gordhan, himself a committed socialist and dealing with a cabinet that includes many a communist and certainly a number of trade unionists, will walk the tightrope with an election coming and votes needing to be collected, especially in the Northern Cape and Gauteng. Our guess is that minister Gordhan will be forced to “talk the talk”, not “walk the talk”, talking his way through this one with South Africa in the grip of sluggish economic growth and an election coming. We should not expect too much from this speech other than bravery and it is hoped that minister Gordhan will resist pressure from the unions. Our report therefore now relies upon the mundane and the “inside track” as usual and we await, like all, the results……. although attending the “lock in” is an enjoyable process of watching the parliamentary system working and the financial markets re-acting. Giving effect to most of the tax proposals announced in the 2013 budget review, the Taxation Laws Amendment Bill, with its tandem enabling Bill – the Taxation Administration Laws Amendment Bill – have both passed through the standing committee on finance as a money Bill. Probably the most important for economic growth is the proposed beneficial tax regime for companies that decide to take advantage of the new Special Economic Zones Bill introduced by minister of trade and industry, Dr. Rob Davies, and now almost finalised by Parliament. Other tax proposals are to back up the cabinet wish to revitalise South Africa’s maritime sector with an attractive tax regime to encourage exports, mainly using Africa coastal routes. Minister of finance Gordhan Pravin’s tax proposals also include moves to discourage profit-shifting through excessive interest deduction and the use of artificial debt and the payment of certain dividends which gain tax deductions. Retirement fund deductions are affected as from next year, as will be certain matters regarding provident funds. Most important are the easing of conditions under which low-income employees are acquire houses at below market value without tax being payable under the current fringe benefit system. Foreign e-commerce suppliers are to register for VAT. There are a number of changes affecting the completion of tax forms and there are new regulations for tax practitioners, mostly involving the principle of “accountability”. Treasury has promised specific legislation on the employment tax incentive and waste discharge incentive charges later this year and comments on both Bills was closed early August in order for the money Bills in question to be processed during September. During his budget vote speech to Parliament, Pravin Gordhan, minister of finance, said, “In the same way we built in South Africa a new sense of tax compliance and personal discipline, perhaps we should now rid ourselves of the evils of corruption”. Indeed, the fact that we are now headed towards becoming the major nuclear nation on the continent and with the issue of shale gas exploration on the cards, let alone gas exploration off the Mozambique coast, all of this will undoubtedly lead us into a different league in the years ahead on the African continent. So what we look like to others is especially important. Until now, like two competing top league football teams, South Africa and Nigeria seem to have vied for top dog position. Then Marikana came along and we seem to have lost all confidence in ourselves and certainly Standard and Poor and all the others have voiced their displeasure at the way we do things. But then nothing can compare with Nigeria’s problems of declaring a state of emergency in three regions and the containment of insurrection from Boko Haram as radicals try to establish Sharia law in one third of its land mass. Trouble is therefore purely relative to what one is trying to achieve. But somehow President Goodluck Jonathan seems to do better than President Zuma in the PR stakes. In South Africa’s case, we could be said to be lacking in a pool of skills but Willie de Beer of SANEDI, a quiet but respected leader in the energy field, says that South Africa certainly has the skills to put its energy mix together properly if it seriously puts it mind to it. Minister Dipuo Peters referred this week to bringing in outside strategic help on nuclear issues. In fact it was refreshing to see Minister Gigaba of public enterprises and Minister Peters on energy both on the podium working from the same hymn sheet. Then one turns to gas exploration and the potential that many claim that this is. Gas will be realised sooner perhaps for its possibilities. Also probably it is easier subject to tackle, especially if PetroSA can get rid of its opportunists and some form certainty reigns for investors as far the regulatory environment is concerned – something that hasn’t happened in Kenya, Uganda and Mozambique. 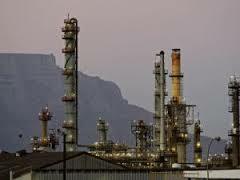 A steady environment for gas development has the potential to make South Africa great. So is it the skills we lack? Or just the confidence to become a bigger and better nation and consequently the giant on the African continent? Probably lot of it is bad PR at the top as well, with Mac Maharaj having to operate the bilge pumps so regularly as heavy waves of unexplained statements and odd decisions from cabinet swamp the decks. 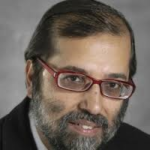 The fact that the cabinet sits so long on problems and fails to make decisions probably has a lot to do with the indecisive look that seems to emerge from our top brass – Waterkloof issues and Gupta’s aside, but on serious policy issues, all points to a cabinet that is lacking in cohesion and lacking in depth at this moment. Certainly a statement from a minister on entry into the nuclear top league and a picture of the president in loin cloths holding a spear in a KwaZulu marriage function on the same front page probably failed to inspire confidence that day. And nobody seems to be taking corruption seriously in the cabinet either. And it is all so easy to blame everything on bad PR, however. Usually in times such as this the right man for the moment emerges but it is difficult at the moment to image who this is could be. 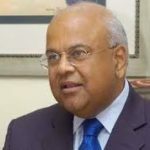 We have been lucky with our ministers of finance in South Africa and perhaps we should take the lead of Pravin Gordhan when he says that we really can do these things if we put our heads down, put only properly qualified people into jobs and do what we have said we will do, on time and every time. With budget behind us, the script for the state of nation address (SONA) becomes a little clearer. At the time SONA wasn’t what was expected and represented to many a total let down insofar as direction, information and inspiration was concerned. President Zuma’s speech was really quite remarkable for the subjects it didn’t touch upon or skirted around. Perhaps that’s what happens when a majority party is half way through its current tenure of office. In all fairness, however, there is so much that is about to happen in South Africa on infrastructure development and so much “in the pipeline”, that there was little the current government could do other than recycle the list of eighteen major projects that the twenty seven government departments and sixteen utilities having been talking about for months, sometimes years, all of which seem in a pretty embryonic stage. The hope is that when it all comes together, it won’t be too late. On energy, little was said – in fact practically nothing at all that was not patently obvious such as the fact that Medupi and Kusile are being built. In fact nothing was said on electricity at all, the reason for which was to become evident in the NERSA decision the following week when Eskom’s multi year price determination call of 16% was toned down to 8%. Also the following week and following SONA came Pravin Gordhan’s budget with its surprising nil increase on income tax, severe budget cuts, the introduction of carbon tax and an increased fuel levy. Once again the National Development Plan was heavily emphasised and perhaps at last government is going to get on with it with a new presidential infrastructure co-ordination commission to support the initiative. 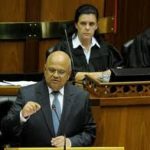 The Budget was in some ways masterful but still frightens the credit rating agencies, with Gordhan trying to balance the books after an increased deficit over the previous year, something the new government used to pride itself on not needing under finance minister Trevor Manuel – but times change and the global recession arrived. Interesting for Parliament is the introduction of the draft Infrastructure Development Bill giving extraordinarily wide powers to an all-powerful commission to be known as the presidential infrastructure co-ordination commission, as stated above, with all nine premiers, the President and Deputy President steering the ship in an effort to cut red tape and speed things up. This can only be good, if only for the fact that the captain of the ship can speak alone to the twenty seven departments and sixteen utilities described above. Which leads to the issue of a somewhat bloated public service which has had the benefit of above-inflation increases this year, so it was pleasing to see that a skills audit of public servants is about to be commenced amongst the 1.2m public servants, which in a country of only 51m, is totally disproportionate. Public Service and administration minister Lindiwe Sisulu told Parliament that the increase of 1% per year in salaries has to be turned into a decrease of 1% next year. Encouragingly also, planning minister Trevor Manuel (who has but ten staff) has clearly indicated that he is relying on the parliamentary oversight system to beef up his programme to wake up to the National Development Plan. How well Parliament scrutinizes the national budget in the coming weeks in every parliamentary portfolio committee demanding both value for money and delivery on time, every time, is now the critical issue. A series of three pieces of financial legislation have been tabled in Parliament by the minister of finance, Pravin Gordhan, namely the Financial Markets Bill, the Credit Rating Services Bill and the Rates and Monetary Amounts and Amendment of Revenue Laws Bill. • Provide for the regulation of financial markets; • Regulate exchanges, central securities, clearing houses and trade repositories • Regulate and control securities trading and the administration of securities • Prohibit insider trading and other market abuses • Provide for the approval of nominees • Provide for codes of conduct • Replace the Securities Services Act, 2004 for the reasons given. Deliberations by the finance committee on all three Bills will continue in June. Cabinet has reconfirmed that taxis and buses will not have to pay toll fees on Gauteng’s roads. In a statement released after the latest cabinet meeting, government emphasised that this decision was taken in the interests of the poor. The Gauteng Freeway Improvement Project is set to come on stream on 30 April 2012. The poor are the main users of taxis and buses, the statement says, and added, “These transport modes will pass through the gantries free of charge”. Reference was also made in the statement to the recent capital injection of R5.8bn announced by the finance minister, Pravin Gordhan, on Budget day. The money was made available, the statement says, “to help ease the burden on road users in Gauteng.” The additional finance will also help government to reduce the tariffs for e-tags. Light motor vehicles will now pay 30c per km; motorcycles 20c per km; non-articulated trucks 75c per km, whilst articulated trucks will pay R1.51 per km. The maximum amount that road users can be charged per month is to be capped at R550. 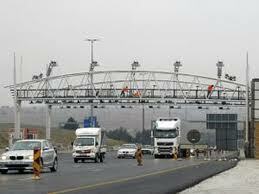 The statement stressed that the credit card-linked e-toll account was not the only payment option available. Road users can also opt for the pre-paid e-toll account. Finance Minister Pravin Gordhan is reported to have told lawmakers in Cape Town that a revised carbon tax policy paper is definitely due sometime in the course of 2012 and that government has agreed in principle to the need to price carbon emissions and on the phasing in of a tax based on such a pricing structure. According to reports, BUSA has, in the meanwhile, called upon the cabinet for relevant ministers to engage further on a framework before implementing any such proposals on a carbon tax, especially given recent electricity price hikes and rising costs to the consumer. Similarly, the Manufacturing Circle said it “would welcome the opportunity for engagement”, with the caveat that a carbon tax, if not applied suitably, would “hurt manufacturing and jobs”. 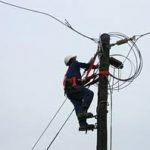 National Treasury has argued previously that such a tax was necessary to create incentives for the public and industry to change behaviour and to encourage cleaner-energy technology and energy-efficiency amongst the public. Released initially for public comment in August last year, National Treasury has tabled the Credit Rating Services Bill in Parliament . The hope is to promote greater investor protection; more integrity; increased transparency and more evident accountability in financial dealings, thus it is hoped and improvement and greater international acceptance of the integrity and value of South African markets. Whilst treasury officials have described credit rating agencies as important instruments in the financial backdrop of South Africa providing measures against credit risk and enhancing security, the Bill states one of its objectives “as a shift towards a twin-peak model for regulating the financial sector” and the introduction of a “wider macro-prudential system of supervision. Pravin Gordhan referred to such a draft Bill in his 2011 budget speech when he spoke of reforms for the financial sector, “We need a safer financial sector to serve South Africa better”, he said. At the same time the minister has called for public comment on the draft Financial Services Laws General Amendment Bill, legislation in tandem. Under the new Credit Rating Services Bill, credit rating agencies will be registered; certain financial rating activities will be controlled; the principle of insurance of credit rating will be extended and rules for agencies will be stipulated. Many will remember last year’s April launch by the South African National Roads Agency Limited (SANRAL) of the S’hamba Sonke (Moving Together) R22bn provincial and municipal roads campaign, due to run for the three years – 2011 to 2014. 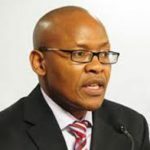 Transport Minister Sibusiso Ndebele, in a briefing to the media of the infrastructure development cluster in Cape Town, had to acknowledge recently that at present only R1.7bn had been spent on projects since the programme’s launch leaving over 90% of funds so far unspent, meaning that R6.4bn is still unspent for the 2011/12 fiscal period. However, it is clear that SANRAL has one of the largest back logs; minister Ndebele estimating that the various levels and contractors had to spend R169bn if SANRAL was to catch up – about the equivalent of 500 000 kms of road. Minister Ndebele added, in answer to questions from the media, that that the worst-affected areas were typically those outside of the urban nodes of Johannesburg, Pretoria, Durban and Cape Town. The forthcoming infrastructure summit would look at various models to get the job done, including the ‘user-pays’ model to address the backlog. Whilst the problem appeared to be the fact that the work was simply not being done, the minister focused on issues surrounding financing the infrastructure, particularly the issue of tolling. He said, “As South Africans we need a dialogue on how we will pay for this infrastructure development,” he said, referring to the fact that SANRAL had received R5.8bn to reduce debt as a result of its inability to install e-tolling on the Gauteng Freeway Improvement Project (GFIP). The proposed tariff had been reduced to 30c/km, capped at R550 a month, for motorists, as a result of public outcry but Minister Ndebele said that government could not listen again to such calls. His department was now focusing on ways to pay for more phases of not only the GFIP but highway projects in Cape Town as well. The minister said lessons had been learned, but South Africa still needed to reach consensus on how it would pay for the second phase of the GFIP, as well as other urban highway projects. All possible law enforcement loopholes that could prevent the implementation of e-tolling on April 30 this year had to be studied and legislation to allow for road tolling as a permanent feature to assist in funding highways was on its way shortly to Parliament. At this stage no clear cabinet statement has been issued as a result of the COSATU marches to protest against tolling – a march somewhat confused by labour broking issues, but at the time of the infrastructure development cluster briefing last week, Minister Ndebele seemed unmoved by the possibility of labour backlash against tolling.